Our cars would break down quite often as a child. I remember one particularly cold day, when our car broke down on the way to school, and my mother, sister, and I walked a bit over a mile the rest of the way to town. It was snowy, and the wind had caused my legs to go numb and become very red. I was wearing a skirt that day, and this event was one of many to cause a distrust of the reliability of vehicles. Another time, I rented a car to drive around Chicago as a young adult. I had my rental car break down on the side of the road, and I waited hours for another to arrive. The same company gave me a different car that also broke down after hours of use. As a married mom of 6, I have had no fewer than one break down a year with any of our older vehicles. My husband has always been available to pick me up, but it is always a stressful situation for me. This past week, I was taking my daughter to work, when we had another automobile failure. A very loud sound started under the hood, and my first instinct was to panic; after listening a while to the noise, however, it became clear that this was just an issue with the engine mount not seating correctly. A rock had gotten stuck inside and was causing a loud knocking. My reaction to stay calm was a new one for me. I'm prone to over-reacting, panic, and anxiety. In fact, I almost lose it when the car even makes normal noises. But this time, I just knew that things were going to be OK. After all, cars break down. All things break. It's just a matter of time, and it should not ever surprise me. This new way of thinking reminded me a bit of pencils. In school, I never thought much about them. They broke -- sometimes at the most inconvenient time (like during a test) -- but the world never ended when they did. Our reactions to a broken pencil vary, though, don't they? Some kids would get up and go across the room to sharpen what they had left. Others were fortunate enough to have a sharpener right there at their desk. Still others had a spare pencil, and had no issues with chucking their broken one right into the trash. Pencils, like the items we use every day, really do signify how we treat what we are given, or even how we go about getting what we have. One may, like I did as a kid, start the year with a few new pencils. 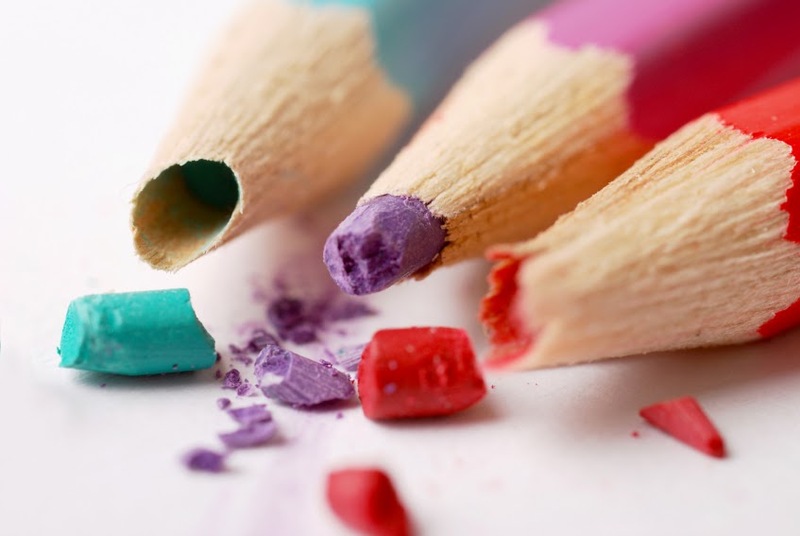 Others may have broken or chewed up pencils from the year before. Since I had a hard time holding on to mine, I often would look around on the floors of the gym or under the bleachers for pencils others had dropped. These forgotten untensils weren't a big deal to their previous owners, but to me they were a big deal. Some kids never intended to buy, find, or earn their own. Their intention was to borrow and never give back. (Do you know people like this?) Or, they figured it was their right to ask the teacher for one every day. (Why should they buy their own when there were pencils for everyone to use?) Some kids stole pencils from the desks and lockers when they were left unattended. Even now, as I look back on how something so simple as a pencil defined the character of my classmates, I see these same behaviours in grown-ups of today. My pencil (or my car) is nothing fancy. It is 11 years old and the newest vehicle we own. If it breaks down, we fix it. If it doesn't run for awhile, I'll use our 18-year-old Suburban instead. Both are something God has allowed us to keep to provide for our families, and my reaction to their breaking down really should be done with appreciation and patience. Because what if I didn't have a pencil (or car, or home, or job, or family) at all?